How to help kids get the best start in life? Nurture them — and give them low-cost, high-quality early childhood programs. When Pope Francis encouraged mothers to breastfeed their babies during Mass at the Sistine Chapel, he sent a powerful message that young children deserve loving care wherever they are. We all know young bodies need nourishment and physical affection to thrive, but it's just as important to nourish young minds from the very start. Babies are like little scientists exploring the world around them from the moment they're born. In early childhood, "Children's brains can form 1,000 neural connections every second — a once-in-a-lifetime pace never matched again — and these connections are the building blocks of every child's future," says UNICEF executive director Anthony Lake. "Children who are read to, talked to, sung to and played with are not only happier today, they will also have better cognitive capacity — and a better chance to live a fuller, more productive life." Children get the best start in life when they spend their early years lovingly nurtured by engaged caregivers. Helping parents raise healthy, well-adjusted kids is a win-win situation: what's good for the kids is also good for the world. And that's why UNICEF is committed to fostering the wellbeing of babies and young children everywhere, with low-cost, high-quality early intervention programs that help little ones thrive and yield lifelong dividends. For her film, The Beginning of Life, filmmaker Estela Renner spoke with early-childhood experts and parents in nine countries about the ways a young child's physical, cognitive, social and emotional growth is profoundly impacted by her day-to-day experience. As it explores the lives of children from a range of cultural, ethnic and social backgrounds, the documentary's message is clear: Giving a young child a loving start in life is crucial to building peaceful and prosperous societies. But babies can't thrive if their worlds are disrupted by poverty, stunting and a lack of love and care. 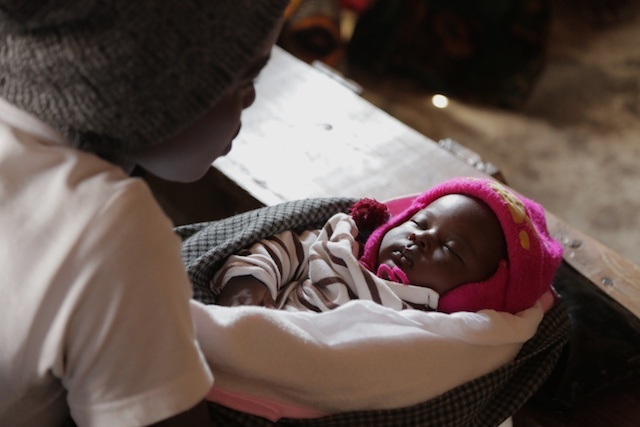 According to a recent series from The Lancet, "Advancing Early Childhood Development: from Science to Scale," 43 percent of children in low- and middle-income countries — almost 250 million children — are at risk of not achieving their cognitive potential. And delays are difficult, if not impossible, to reverse. "If children are unable to fulfill their social and developmental potential," The Lancet report warns, "this not only harms their futures, but also the societies in which they live." UNICEF works with partners to bring low-cost, high-quality programs to the places where parents and young children need help most. In Tanzania, UNICEF-educated health workers run seminars for pregnant and nursing mothers to ensure that both mother and baby get the best nutrition possible. 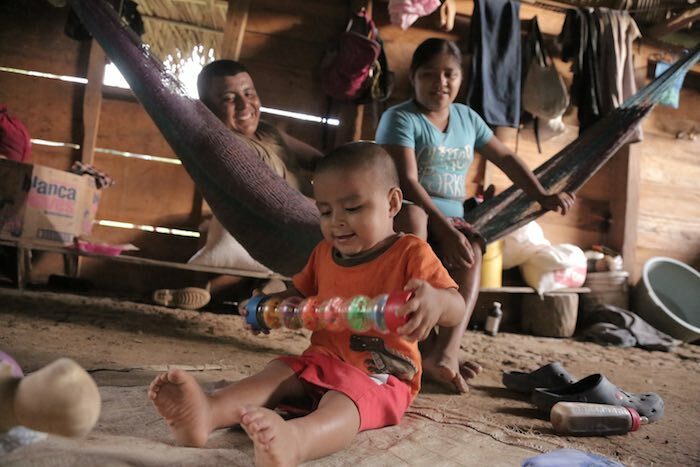 In rural Belize where preschools and daycare centers are few and far between, UNICEF trains members of the local community to act as "roving caregivers" or "rovers," who travel from house to house for 45-minute play visits. The rovers bring stimulating board books, toys, and puzzles and encourage parents and caregivers to get down on the floor and play with their kids. 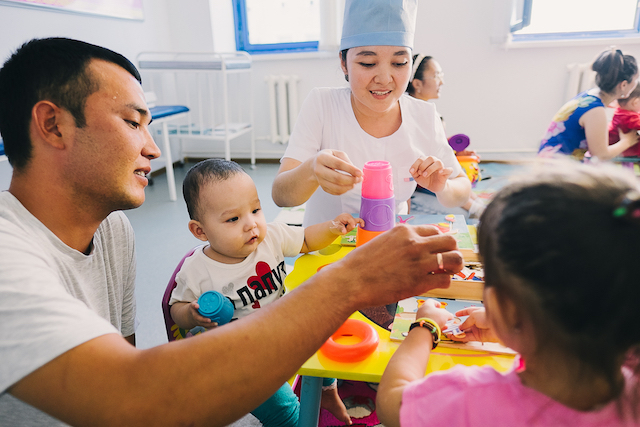 And in Kazakhstan, mothers and fathers and their kids flock to early childhood centers stocked with games and playthings designed to engage and enrich young minds. See the 90-minute film The Beginning of Life in its entirety on Netflix, iTunes or Google Play. Help support UNICEF's innovative early childhood development initiatives and other UNICEF programs that save children's lives and build their futures.